Hey everyone, I hope you all had a good 2013, and a Happy New Year so far in 2014! If your wondering why my blog posts and video context have slowed down recently, or would like to know what video and blog content I have planned for you all in the future, feel free to check below. If you don’t follow my Facebook page for smaller, quicker updates, I posted that I was sick about a week ago. I still am, this type of sickness takes some extra effort and time to get over. The good news is that I’ve recorded footage from at least 10 different Nerf Events and Games that I’ve been to this past year that I haven’t uploaded yet. If we assume that I played in at least 4 different games in each of those events, that’s 40 different Nerf game videos I could upload for you all to see. But not everyone of them is a Nerf game, Humans vs. Zombies and my Nerf New York Summer trip are the two other major highlights in my archive of footage. I plan on releasing music video recaps for my Nerf games that I played in 2013 as well as that New York Trip. As for my blog, I’ll continue to give you all Nerf News, photos, and interesting fun Nerf related things I see and find. I also want to write up more reviews, both on newer and older products. I also want to give you all reviews with footage I’ve recorded of the blaster in use as well when I write up the review, similar to my Stryfe Masterkey Review. Again I still strive to thoroughly test each blaster by putting it through game and battle situations before I write up a review. This helps me get a full understanding of each blaster. So here’s to a good 2014 for me and you! What would you like to see from me in 2014? Hey Jason, loved the video man! I think some more of game tested battle blaster reviews would be really good to hear especially from a veteran like you! I hope you get well soon, and Happy New Year man! I think you should do small giveaways (like a 12 pack dart set or a jolt or something small.) 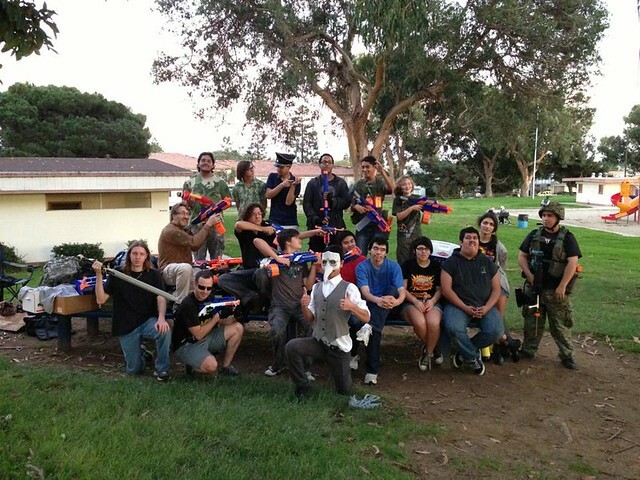 I’d also like to finish that first 2012 December winter game of HvZ. Two parts doesn’t quench my thirst for more!!!! Also I would like to know if you will be doing an unboxing on the elite Vulcan?